UEM furthers its involvement with electric racing! 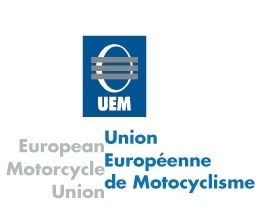 TTXGP are very please to announce a new partnership with UEM; the European Federation of the FIM, that will see the UEM have a greater stake in electric racing and nurture the next generation of motorsport throughout the European rounds of the championship. The founder/principal of TTXGP, Mr. Azhar Hussain spoke of the partnership "we very enthusiastic to welcome such a fantastic partner in the UEM to sanction our European championship; working with such respected motorsport body as well as honoured professionals will aid TTXGP to grow and thrive and we are very much looking forward to an exciting year of racing. UEM will add stability to the calendar as well expertise and connections all of which will make TTXGP stronger." The partnership agreement was formally approved at the Board meeting of the UEM this December. Upon signing Mr Mazzi, President of the the UEM said "We are very pleased of this agreement that pose the UEM in front of the technical innovation. Duty of the UEM is to grow our sport in Europe and this is a very important occasion to find new paths". UEM in Europe join FIM North America union in the US as sanctioning bodies for TTXGP regional championships and grow our global family of partners. The new TTXGP Euro calendar sanctioned by the UEM will be announced shortly. All additional dates will join Assen which has agreed a historic three year deal with electric motorsport, the first venue to offer TTXGP a multiyear contract and partnership that signals the staying power of electric motorsport.